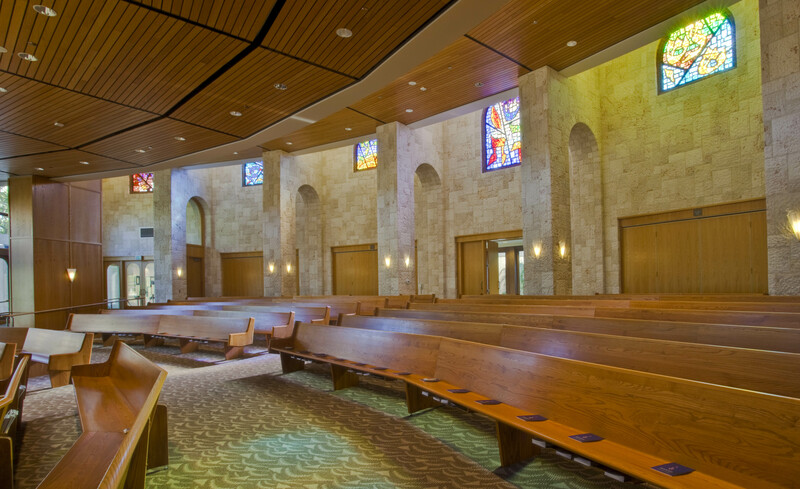 The sunlit Kamenir Chapel, enveloped in wood and Jerusalem stone and accented with Ruth Merritt’s faceted glass windows evoking the Seven Days of Creation, is a haven of tranquil beauty appropriate to reflection and remembrance. Hanging on the outer walls are Quilts of Memories lovingly crafted by the members of our community and dedicated to our friends and loved ones who were lost in the Holocaust. 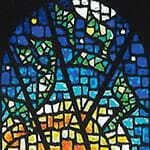 The back wall of the Kamenir Chapel is accented by a series of stunning faceted stained glass windows designed by Ruth Merritt. 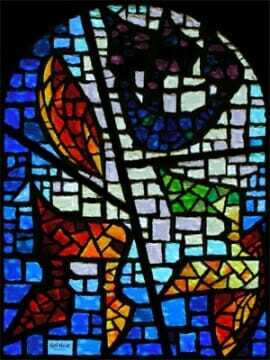 Entitled "Creation; The First Seven Days" the series of seven windows depicts each day of creation, represented with Hebrew letters, colors and background images. The colors of the letters, red through purple, reflect the spectrum of the rainbow, the symbol of hope in the biblical story of the flood. 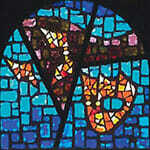 It took Merritt almost a year to study and develop the theme for the Kamenir Chapel’s seven windows. 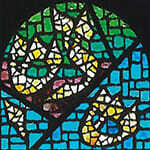 Early on, she settled on the concept of the creation story with the largest window representing Shabbat. When she finally started sketching, it took only two weeks to get from the first rendering to the finished drawings. 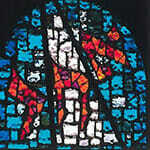 Merritt said she had to walk a fine line when using imagery in the windows so as not to offend the Orthodox community while still conveying the narrative. 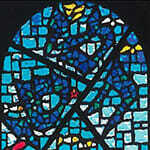 She settled on using Hebrew letters as the primary imagery, although she believes that symbolic art is a part of Jewish tradition. 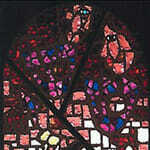 Click on each of the windows below to see them in greater detail.